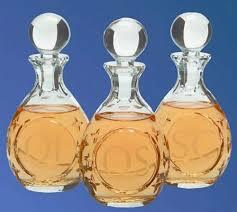 Chrism Mass, Cathedral of St. Mary and St. Anne. March 23, 2018 cork DIOCESAN NEWS Comments Off on Chrism Mass, Cathedral of St. Mary and St. Anne. On Holy Thursday morning, March 29th, the priests of the diocese will renew their commitment to priesthood and invite the people to pray for them at the Chrism Mass in the North Cathedral at 10.00 am. This is the only Mass celebrated in the diocese on this morning. Lay people from every parish are invited to show support for and solidarity with Bishop Buckley and the priests as he blesses the oils. The Holy Oils blessed at this Mass are brought back to the parishes for use during the coming year in the celebration of the sacraments in the parish. The Holy Chrism is used in Baptism, Confirmation, to bring support and comfort to the sick in their infirmity and to anoint the hands of priests and the heads of bishops at ordination.